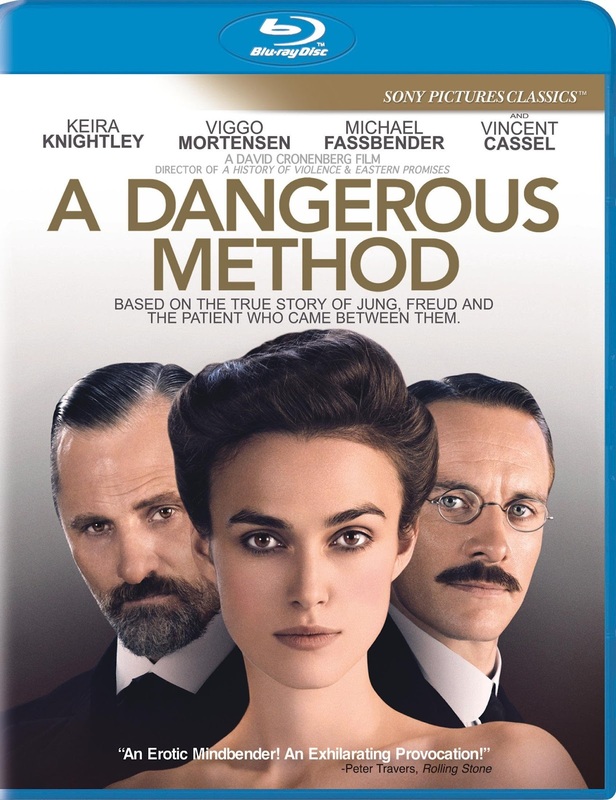 A Dangerous Method Blu-ray Review. A Dangerous Method, for me personally, was a little hard to engage with. It just felt like the film’s crew was borrowing too heavily from the stage play, and forgot to include elements of filmmaking that drive a film’s story and ensures its audience is investing in it. Based on the 2002 stage play The Talking Cure written by Christopher Hampton, David Cronenberg’s A Dangerous Method attempts to convey the unstable relationship between fellow psychoanalysts Carl Jung and Sigmund Freud on the big screen. Boasting a small yet impressive cast, A Dangerous Method has quite an intricate and detailed story, however if dialogue based dramas aren’t your fancy, then it might be a little hard to invest your time into this film. If not for a stellar cast and excellent chemistry, there would be little reason for this film to be viewed. The connection and bond shown between Carl Jung (Fassbender) and his patient, Sabina Spielrein (Knightley) is a perfect example of how well the cast work together to expose the struggles each character faces in their personal lives. Knightley’s portrayal of hysteria-suffering Spielrein in particular is a highlight; her believable performance heightens the mystery of her character, being both menacing and innocent. While a film can be considered great based on its actors, if it’s lacking an interesting story it can sometimes detract from this. This is where A Dangerous Method falls short of being great. Although there is plenty of mystery surrounding Freud’s (Mortenson) psychoanalytical methods, and the controversial relationship between Jung and Spielrein, there is no real climax or change of pace to be found. A heavier focus on dialogue rather than visual cues in A Dangerous Method results in the film becoming dull in terms of storytelling. As with most Blu-Ray releases, the picture and sound quality is most impressive. Stunning set pieces are brought to life, and the ambient sound and music really brings the setting of early 20th century Europe to life. Apart from some god-awful and obvious CGI in the latter half of the film, the film is rather visually appealing. No special features were included on the disc. A Dangerous Method, for me personally, was a little hard to engage with. It just felt like the film’s crew was borrowing too heavily from the stage play, and forgot to include elements of filmmaking that drive a film’s story and ensures its audience is investing in it. If you are a fan of complicated and romantic dramas however, there is plenty for you to indulge in.